The 2015 Emergency Budget has various tax implications for landlords. However, the restriction on tax relief for mortgage interest will have widest impact. The Budget announcement therefore warrants closer examination of the new rules, and a re-assessment of the relative merits of company ownership of a property in the light of its proposals. Under current rules, taxable profits are reduced by interest on money borrowed for the purposes of the letting business. Phased in over a four year period starting with the 2017/18 tax year, UK taxpayers will no longer be able to deduct interest in calculating taxable rental profits. Instead, landlords will obtain a reduction in tax equal to basic rate tax on any interest borrowed. The broad intention is for a higher rate taxpayer to be no better off than a basic rate taxpayer by letting out a property. However, it is misleading to explain that only higher rate taxpayers will end up paying more tax. This is because once interest has been stripped out of the profits calculation many landlords that would have been basic rate taxpayers will become higher rate taxpayers. To provide a case in point, say that a landlord has no other income apart from rental income. Said landlord has profit before interest of £50,000 and profit after interest of £30,000. To make the comparison simple, let us say the basic rate tax threshold of £43,000 for 2016/17 is unchanged by 2020/21 and personal allowance is £11,000 in both tax years. In 2016/17 the landlord is taxed at 20% on £19,000, and has a tax liability of £3,800. However in 2020/21, he is taxed at 20% on £32,000 of profit and at 40% on £7,000 of profit. His tax liability is £9,200. The landlord then receives a tax reducer of 20% of £20,000, which is £4,000. His tax payable is therefore £5,200. Even though the landlord has income of less than the basic rate tax threshold in both years, because he is a higher rate taxpayer before mortgage interest is deducted he pays more tax under the new rules. To be precise, the increase in tax is £1,400, which is 20% of ‘higher rate’ profit. Given the restriction on mortgage interest, the option of placing a property into a company for tax purposes deserves reconsideration. This is because there would be no restriction on the amount of interest which can be deducted from profits for the purpose of calculating corporation tax. The rate of corporation tax on profits is currently 20% and the government have also proposed to reduce the rate of corporation tax to 19% from 6 April 2017 and 18% on 6 April 2020. However, additional tax on dividends could outweigh the benefit of being able to deduct interest from profits. The government has announced that the first £5,000 of dividends are tax free. 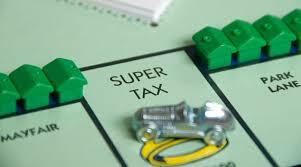 Therefore, a higher rate taxpayer with rental profits of approximately £5,000 a year would save tax paid on rents by using a company structure. After the £5,000 allowance, basic rate taxpayers will pay 7.5% on dividends, higher rate taxpayers 32.5% and additional tax payers 38.1%. Dividends are paid after corporation tax, therefore for a basic rate taxpayer the combined rate would be 26%. This is 20% corporation tax plus (80% of 7.5%) or 6%. The total rate of tax for a higher rate taxpayer is 46% and 50.48% for an additional rate taxpayer. The number of owners in the company, and therefore the number of £5,000 dividend allowances available. The amount of interest, and therefore the cost of not being able to deduct interest if the property is in private hands. Whether any owners are non-resident and therefore not liable to UK tax on the investment income. Above all, capital gains tax implications, as discussed next. A further consideration is that there may be capital gains tax liability on transfer of the property into the company. This is because, when a property changes hands, capital gains tax is due on any increase in value, even if a property is transferred as a gift. This could present a practical obstacle since the transfer would not generate any sale proceeds with which to pay for the tax. An instalment payment option with HMRC may be open. The transfer of ownership to a company also increases downside risk. If the property loses value following transfer, the capital loss of the company can only be set against any future gain gains. On the other hand if the property stays in the owner’s hands and loses value, provided it does not fall below original cost, the result would be a corresponding fall in tax payable on disposal. Due to this capital gains tax implication, company ownership is better suited to a new acquisition. If the property rises in value once in the company, then this rise in value would be subject to corporation tax (which is currently 20%.) If profits are withdrawn while the company is still trading this will normally be in the form of dividends. If gains are withdrawn as dividend, a landlord will end up paying more tax via company ownership, compared with private ownership. If the company is dissolved shortly after the property is sold, then it would be possible to treat the profits as capital gains. A company held for the purpose of generating rental income would not qualify for entrepreneur’s relief. There would be full capital gains tax payable on disposal of the share. The overall tax on disposal would be considerably higher than a property held privately. For higher rate taxpayers, capital gains tax is lower than income tax on dividends, but the tax paid on a company gain is more than the tax paid on a gain made privately. Furthermore, profits can only be subject to capital gains tax if extracted when the company is dissolved. To accommodate a capital distribution, it will probably be beneficial to have a separate company for each property. Regulatory risk is a factor, particularly given that the government has expressed its intention to create a fairness between landlords and homeowners. The availability of mortgage finance to properties held in a company is likely to be a practical obstacle in many cases. It may be possible to make a loan to the company and deduct interest from other income, such as employment earnings. The short term tax implications are mainly negative for landlords. An overall tax saving could be achieved where property is sold and proceeds are invested in another asset class. In a similar sense, tax would be reduced where income generating assets are disposed of in order to reduce borrowing on the rental property. For instance, a landlord transferring savings to pay off a mortgage, would have less interest income subject to tax, and would reduce interest expenditure on which tax is restricted. If a landlord does not have any immediate requirement for rents then it may be possible to accumulate rental profits in a company and extract the profit as capital gain on disposal. This form of long term tax planning may however need to be revised following any further alterations to the rules in this area. A bare trust for this purpose is intended operate to mitigate the income tax drawbacks of personal ownership and capital gains tax pitfalls of corporate ownership. However, a trust of this nature carries regulatory risk. Stamp duty implications should be considered. I suspect that there is case law in this area, and I would prefer to reserve judgement on the effectiveness for tax purpose at this stage. I am considering forming a Beneficial Interest Trust to keep legal title of the property but transfer the benefit of rental income to a company. And the better-off the landlord, the more tax relief they get. For the wealthiest, every pound of mortgage interest costs they incur, they get 45p back from the taxpayer." Has the Chancellor given much explanation of his thinking behind this change? If so, I would like to hear it.